Second-generation Amazon Kindle Fire: 10-inch Screen, Quad-core Tegra 3 Processor? According to foreign media BGR Amazon means to continue the big success of Kindle Fire, so it plans to issue a new generation 10-inch Kindle Fire during the second quarter this year. It is rumored that this new tablet will be equipped with quad-core Tegra 3 processor. 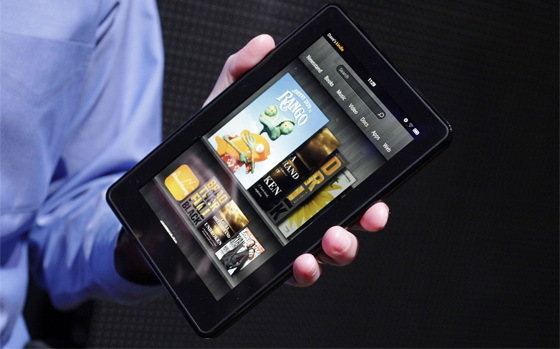 Existing sources say that Amazon has placed an order for new Kindle Fire in Taiwan’s Catcher Technologies factory. If this is true, it means the second generation Kindle Fire will be put into the production stage in the next few months. We cannot figure out whether it is true or not, so a dubious attitude towards it should be proper. However, if the new generation Kindle Fire is released, what can be confirmed is that it will also continue the low price, in another word, it will be sold at a loss. Then it will gain profits by providing content, application and cloud storage. How to convert video to Kindle Fire for enjoying?